- The Swarm was a number-one-bestseller for eight months in Germany and has been translated into 18 languages. - Three characters from the novel actually exist and were written into it by Schätzing as thanks for answering his questions on the scientific background: Gerhard Bohrmann and Heiko Sahling are geologists, Erwin Suess is a marine biologist. 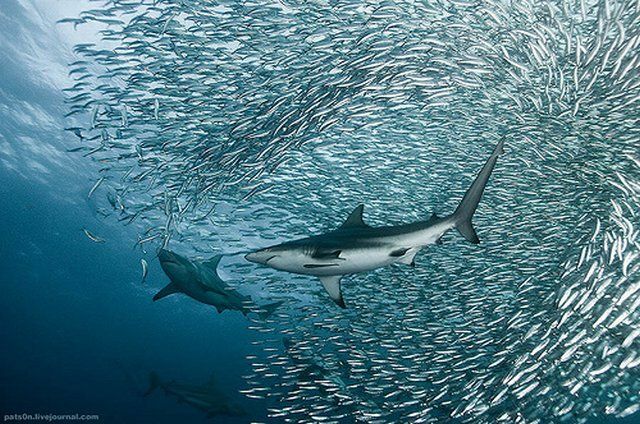 - Thomas Orthmann, a German marine biologist and journalist, claims that dozens of passages in The Swarm have been lifted word for word from his writings. - Hollywood actress and producer Uma Thurman bought the film rights to The Swarm in May 2006. On May 9, 2007, it was announced that a film based on the novel was in the works. I bought this book when I was craving for thick-spined novels. I was greatly hungered for science fiction then so I looked for one and I found The Swarm. After I read its synopsis I was of course convinced that this was really a good book to read. I was able to read a few chapters. Easily swayed for being easily distracted when I was reading this, I, one day, stopped reading it after I found a new book that belongs to one of my most favorite. So what a pity that I haven't finished it yet, because the small part that I was able to read was really great. I am still wishing to finish reading this one, but I don't know when. For more than two years, one book has taken over Germany’s hardcover and paperback bestseller lists, reaching number one in Der Spiegel and setting off a frenzy in bookstores: The Swarm. Whales begin sinking ships. Toxic, eyeless crabs poison Long Island's water supply. The North Sea shelf collapses, killing thousands in Europe. Around the world, countries are beginning to feel the effects of the ocean's revenge as the seas and their inhabi-tants begin a violent revolution against mankind. In this riveting novel, full of twists, turns, and cliffhangers, a team of scientists discovers a strange, intelligent life force called the Yrr that takes form in marine animals, using them to wreak havoc on humanity for our ecological abuses. Soon a struggle between good and evil is in full swing, with both human and suboceanic forces battling for control of the waters. At stake is the survival of the Earth's fragile ecology — and ultimately, the survival of the human race itself. The apocalyptic catastrophes of The Day After Tomorrow meet the watery menace of The Abyss in this gripping, scientifically realistic, and utterly imaginative thriller. 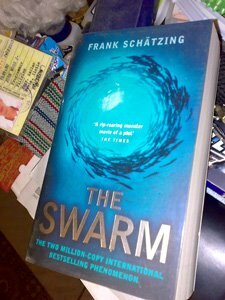 With 1.5 million copies sold in Germany — where it has been on the bestseller list without fail since its debut — and the author's skillfully executed blend of compelling story, vivid characters, and eerie locales, Frank Schatzing's The Swarm will keep you in tense anticipation until the last suspenseful page is turned. The apocalyptic catastrophes of The Day After Tomorrow meet the watery menace of The Abyss in this gripping, scientifically realistic, and utterly imaginative thriller.